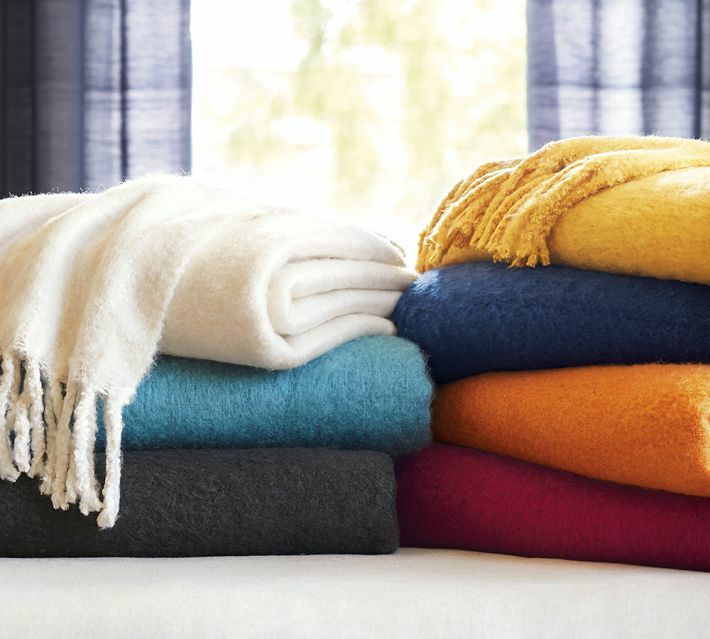 With chillier weather around the corner there is nothing better than having a soft, comfy, snugly throw to wrap around you. Of course I use one year around, because somebody likes our house at a freezing 68 degrees! What I love about a throw is they're pretty and functional. They really warm a room casually thrown over a chair or sofa. Adding that come sit with me look! So while scouring the web for the just right throw I thought I'd share a few that caught my eye. My first stop of course is to my all time favorite store Pottery Barn! This isn't a sponsored post by the way…I just love the store! I'm a sucker for anything monogrammed! And these have my name on them! Well actually they have my initial on them! 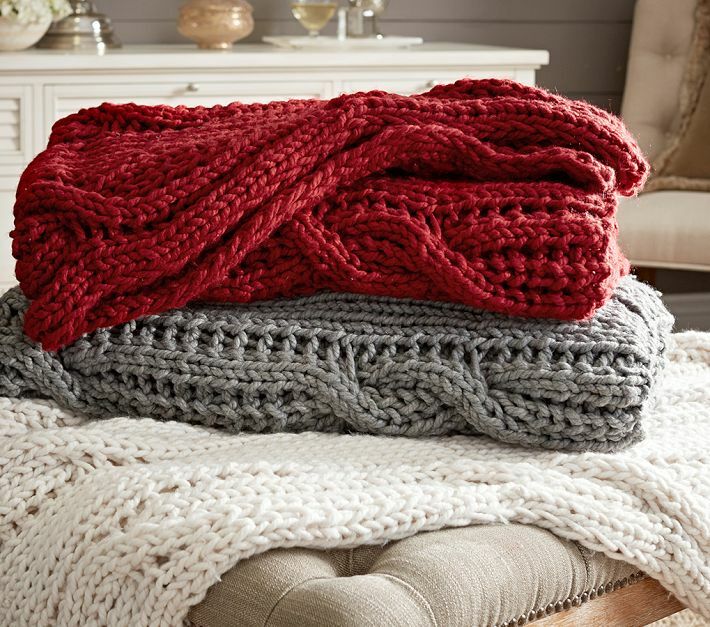 You can't go wrong with a chunky cable knit. Doesn't this look like it's calling you to snuggle with it? 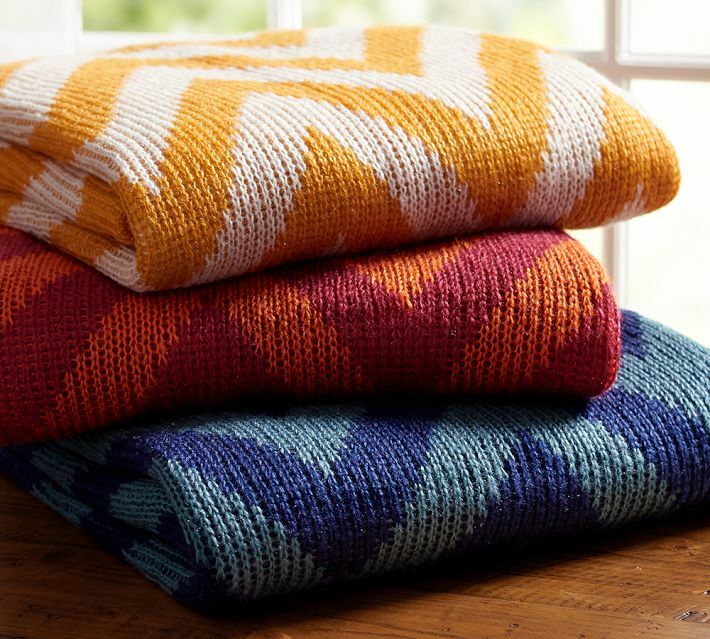 And how cute is this chevron throw? Love the pop of color! Oh Pottery Barn you really know how to get me! 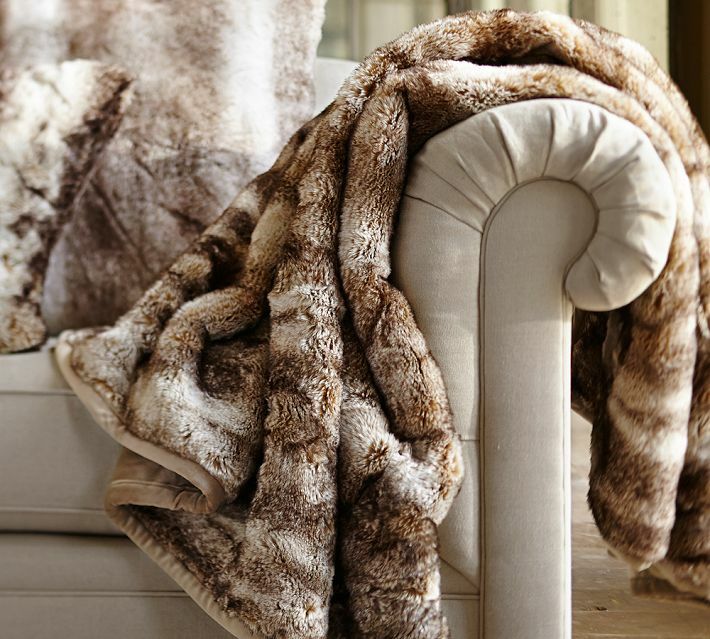 In the faux fur category there's lots to choose from! 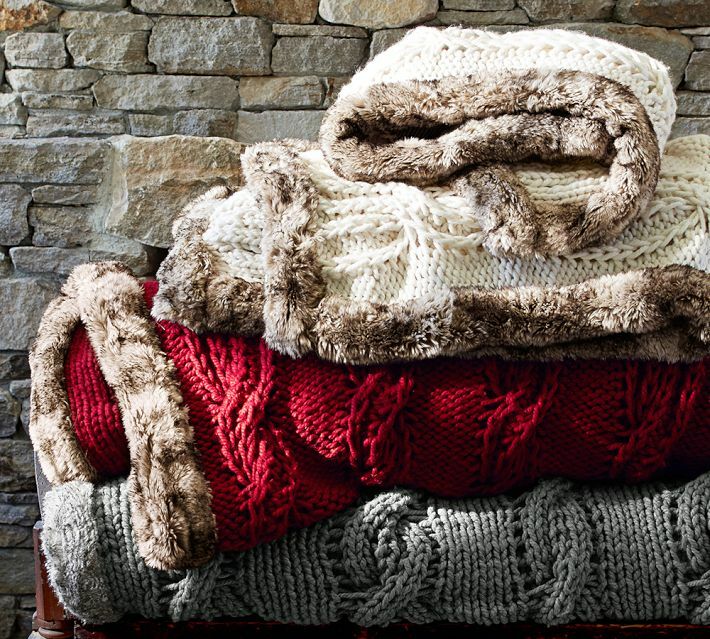 If you love fur and knit then this one is for you. And there's a bonus when you buy this throw. 20% goes to St. Jude Children's Research Hospital. Now that's a win win! I'm seeing pom poms everywhere! Just take a look at Pinterest and you'll see what I mean. 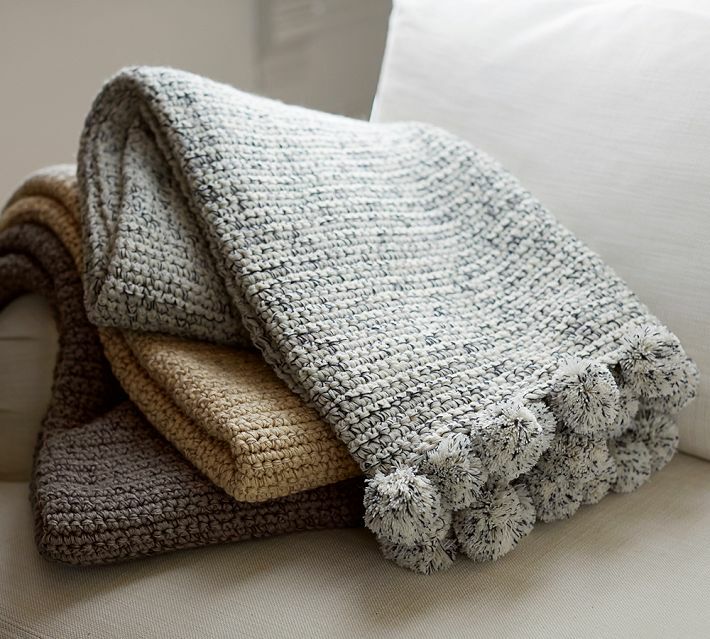 This pom pom trim adds an interesting touch to this hand crocheted throw. 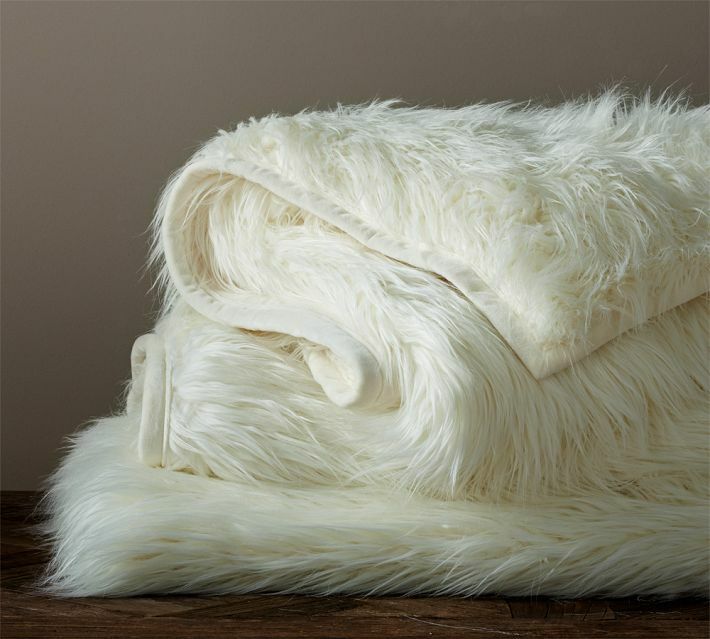 These solid colored faux mohair throws are generously oversized at 55x80! Maybe big enough to snuggle with your honey! And what beautiful colors too! So there you have it! My favorite Pottery Barn throws. Now the only thing to decide is, which one? I was thinking one for every room?